As I write this, I’m wearing two layered shirts, fleece pants, and socks, and I’m wrapped in a thick blanket I received from a Wisconsin relative. Because no matter how much I try to pretend it’s “late summer” – it is COLD. I am COLD. Tis the season for accomplishing only those projects that I can accomplish without moving from my warm, blanketed nest on the couch. 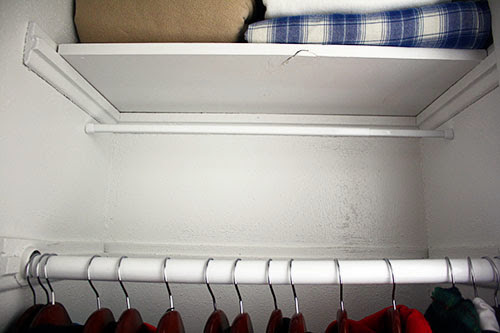 Thank goodness I had the foresight to winterize our coat closet before I succumbed to the cold! What do I mean by “winterize”? 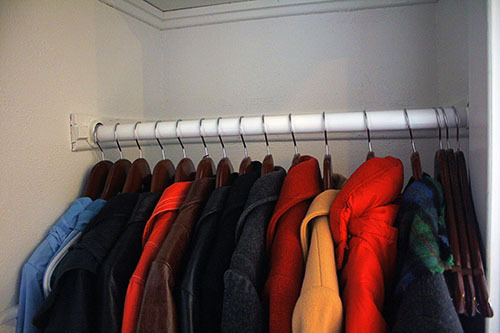 Well, I already showed you how I cleaned out our coat closet last winter by donating or boxing up infrequently-worn coats and replacing the mismatched hangers with swanky wooden ones. 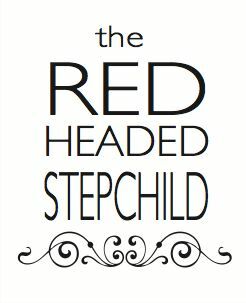 But that was the only winter wear in the closet – I kept some of my scarves in a different closet, and other scarves in a basket in our bedroom, and hats in about five other places. It was a mess. The saddest part, perhaps, is that when I cleaned out the closet in mid-January, I thought I wouldn’t need coats for much longer. HAHA SO WRONG. 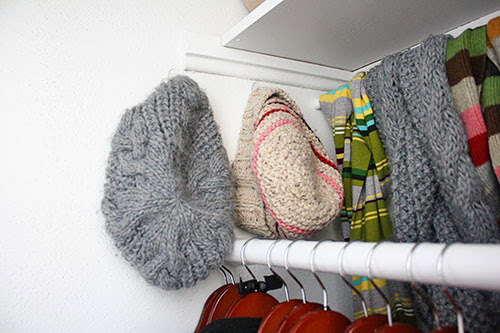 Since I’ll need winter-wear for a good six months, I need to make all those items more easily accessible! 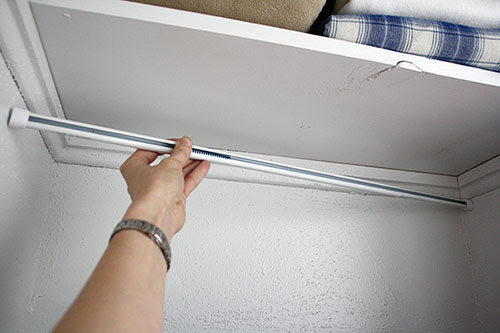 To organize all my winter-wear into a single closet, I gathered a few supplies, like another tension curtain rod from Target. I’d only ever used the kind of tension rod that you twist to adjust to the proper length, but they didn’t have that kind at Target. This one required me to position a screw in the proper place, which wasn’t too hard but isn’t as easy as the other kind. Oh well, looks fine in the end! 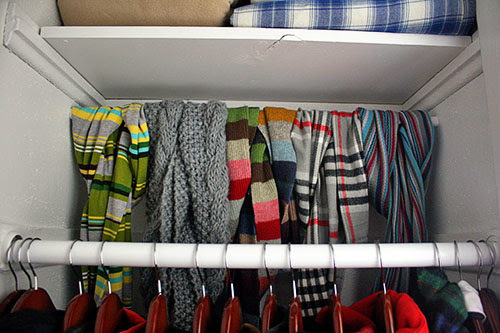 And anyway, I covered it right away with all my soft, woolly scarves! 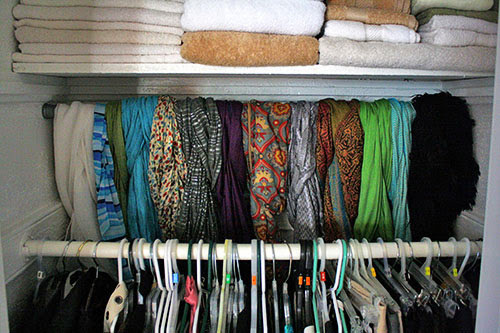 Bonus: now my fashion scarves are less crowded in the other closet. Do you... do you think I might have a scarf problem? Hmmm. Considering I neglected to wear one today and my neck is STILL cold, I think not. Then it was time to tend to hats and gloves! 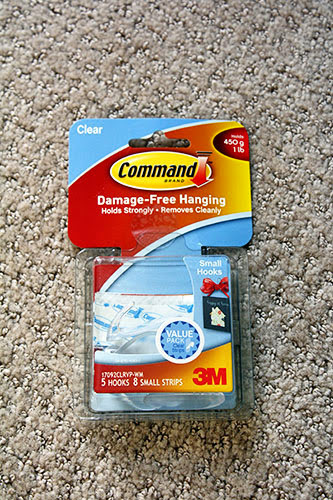 For those, I dug into my supply of Command hooks. And then (after the appropriate waiting time) I hung my hats and gloves! 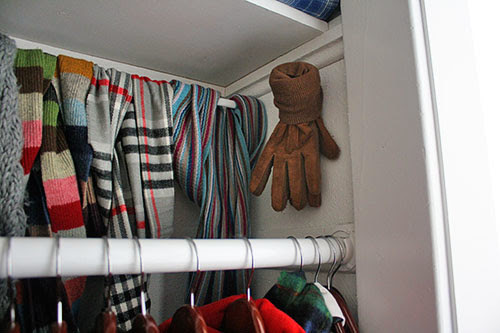 Mr. P’s gloves were too big and bulky to hang on the wall, so his got draped around the hanger with his winter coat instead. As if he wears any of it, anyway. The man wears flip-flops in February. So far, I’ve only enjoyed looking at the coat closet organization as I reach in for a light jacket. Organization makes me happy! But soon enough, I’ll be making use of all those items (ugh) – and the efficiency will make me happy, as well. I take all the happiness I can get in these coming cold and dark days! Also, I thought of you over the weekend when I painted my bathroom. 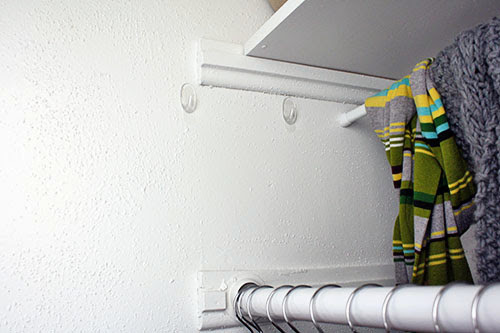 When we first moved, I was terrified of making holes in my brand new, expensive, mortgaged walls, so I used 4 (yes, 4) command strips to hang a simple, light 8x10 frame in the bathroom. Well, when I took it down on Sunday, the 3 year old strips removed without any damage or anything! No stickiness. No peeled paint. Nothing.